Listen >> Did you hear our ads on the radio? If not take a listen! All day - Live Ice Carvings Downtown – Artists will be sculpting ice throughout the day in front of our downtown sponsoring businesses. Check out the Ice Walk Map and vote for your favorite sculpture at the ballot box on the Town Common by Sunday, February 4th at 10:00 am. Amateur Photography Contest and Exhibition 2nd floor of Wilson’s Department Store on display during store hours through Wednesday, February 11. Black and white and color entries depicting Franklin County Winter Subjects/Scenes accepted at The Recorder Office reception desk (14 Hope St., Greenfield) from January 1st until Friday, January 26th. 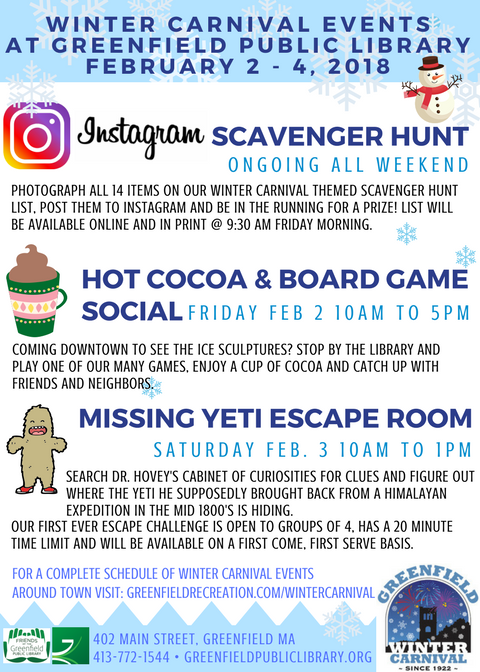 9:30 am-5:00 pm – 1st Annual Winter Carnival Instagram Scavenger Hunt – Check in and register at the library. 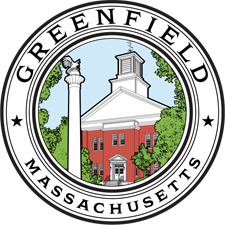 Visit www.greenfieldpubliclibrary.org for more information. 9:30 am-5:00 pm – Hot Chocolate and Board Game Social at the Library – Visit www.greenfieldpubliclibrary.org for more information. 4:00 pm – Torch Lighting – A celebratory torch provided by Suburban Propane will be lit on Town Common to mark the beginning of the 96th Annual Winter Carnival. 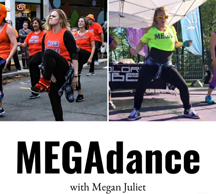 5:30-6:00 pm – MEGAdance - Dancing in the streets! Join MEGAdance for a downtown dance party on Court Square in front of Town Hall. Get your heart pumping to the music with this high-energy dance fitness program. 6:00 pm – The 4th Annual Parade of Lights will help kick-off the festival with displays that will surely light up the night! Decorated vehicles will travel from Newton School, along Main Street, down Federal Street, on to Beacon Street, and ending on Gerrett Street at Beacon Field. Lighted vehicle entries are needed. Entries will be judged with prizes awarded in multiple categories. Rules and application available here. Whether you are in the parade or just observing, it’s an event you won’t want to miss! 7:00 pm – Fireworks Display – The kick-off continues at Beacon Field for a dazzling Fireworks Display being shot from Poet’s Seat Tower. It’s a display that’s sure to captivate all ages. 8:00 pm – Winter Carnival Ball at Hawks & Reed Featuring Grammy-nominated Roomful of Blues with Erin Harpe & the Delta Swingers – A great night of dancing to warm you up and get rid of your winter blues! Doors open at 8:00 pm, music begins at 8:30 pm. Tickets are $20 in advance, $25 at the door. Tickets can be purchased at Hawks and Reed. 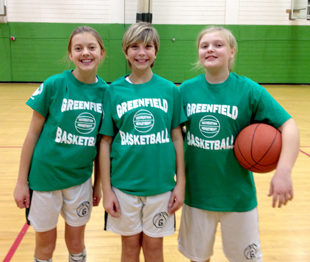 9:00 am-12:30 pm – Youth Basketball League Games – Greenfield Middle School. The Greenfield Recreation Basketball teams will be playing against local rivals. Ages 11 and under must be accompanied by an adult. Admission is free. 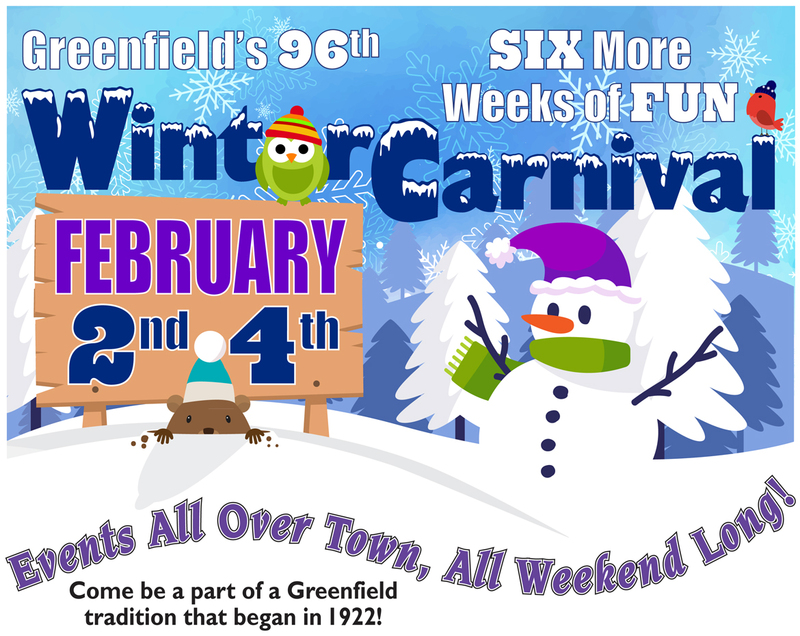 10:00 am-1:00 pm – “Find the Lost Yeti” Escape Room – Visit www.greenfieldpubliclibrary.org for more information. 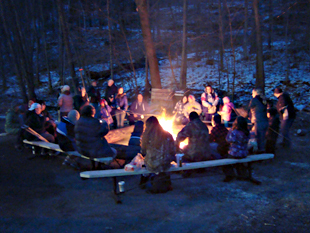 2:00-4:00 pm – Fatbike Group Ride – Bicycle World will be leading a group ride through the Greenfield Ridge. The ride will depart from Bicycle World, 104 Federal Street at 2:00 pm. Bring your own equipment. 3:00 pm – Cribbage Tournament - Second Floor of the Youth Center – Fun For All Ages! $12.50 Pre-registration at the Recreation Department or online by Wednesday, January 31st. $15 at the door. Preregistration begins at 2:45 pm, play starts at 3:00 pm. Boards and cards provided. Custom Pioneer Valley Wood Art Championship and Runner-up Cribbage Board/Trophies awarded. Open to anyone and any age! 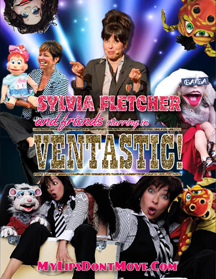 10:00 am – VENTASTIC – World renowned professional Actress/ Ventriloquist, Comedian, Sylvia Fletcher will dazzle you with her amazing talent, lively unforgettable characters, inanimate objects, and voice illusions that will lure audiences into her hilarious and intriguing world of comedy. See the show that is nothing short of “VENTASTIC”. 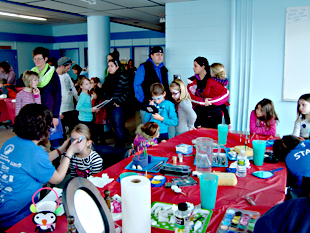 11:00 am-12:30 pm – Face Painting and Crafts for Kids offered by the Recreation Commission and Macaroni Kid. at the Recreation Department. Cash or check only. 10:00 am – Snowshoeing Trek – Meet at the Highland Pond parking lot at 12:00 pm for a 60-90 minute free guided walk around Rocky Mountain Trails. Bring your own snowshoes! Ongoing – Snowman Village – help build our annual snowman community at Beacon Field. Bring your own decorations and design your own snowman. Construct your own member of the Winter Carnival’s Snowman Village. 12:00 pm – Cookie Bake Off – Enter to win our Cookie Contest. Drop off your favorite cookies to Beacon Field at 12:00 pm. Bring a minimum of 2 dozen cookies per entrant. All cookie types welcome. 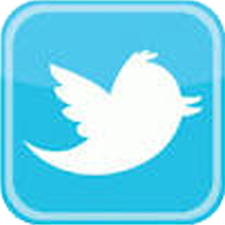 Please share recipes and ingredients. Categories: Most Original, Best Overall and Best Decorated! Click Here for the official rules! 12:00 pm-2:00 pm – Fatbike Demo – Bicycle World of Greenfield will provide free Fatbike demos. Never heard of fatbikes? They are off-road bicycles with oversized tires that allow riders to traverse unstable terrain such as snow! Try one for yourself at the Carnival! 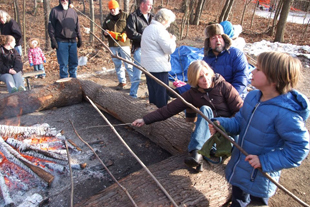 12:00 pm-4:00 pm – Snowshoe Demos – Eastern Mountain Sports of Hadley will provide FREE snowshoe demonstrations. 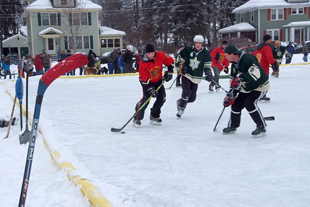 Ask questions; learn tips and tricks of this winter sport! 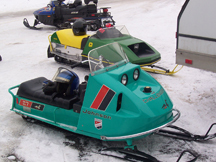 12:00-4:00 pm – Take a trip down memory lane at the Vintage Snowmobile Show sponsored by The Snowmobile Association of Massachusetts. Stop by and relive snowmobiling in its infancy, and listen to the stories of how snowmobiling used to be. Vote for your favorite in the People’s Choice Competition. 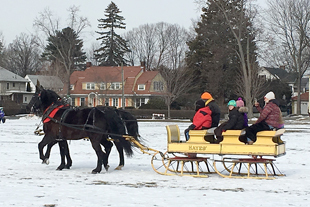 12:00 pm-4:00 pm – Horse Drawn Sleigh or Wagon Rides by Hubbard Farm. $3 Adults, $2 for Kids 2-16 and kids under 2 are free. 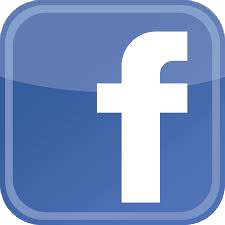 12:00 pm-4:00 pm – Music with DJ Jason Antes – Come enjoy live upbeat music. whatever it takes to urge your dog across the finish line. Sponsored by the Friends of the Paws Park, Lefty’s Brewing Company and the Greenfield Recreation Department. Last year proved to be great fun with dogs of all shapes and sizes sprinting for glory pulling appropriately sized “kegs” – for a Chihuahua, that’s a beer can, while mighty rotts or shepherds pull full-size kegs (all empty of course). Register Online in advance for $5, $10 day of with funds benefiting the Paws Park. A donation box for the Franklin County Regional Shelter will also be on site. Come watch the most adorable event of the day at Beacon Field. Please be considerate and pick up after your dog. 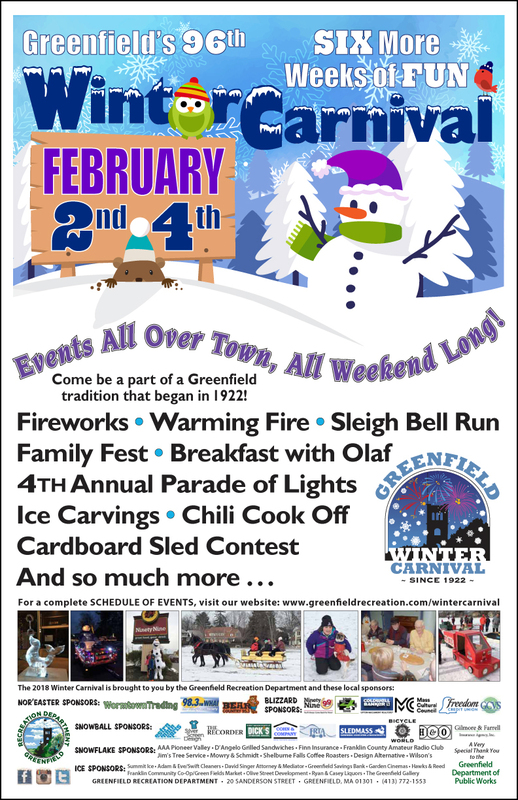 3:45 pm – Awards Ceremony – Announcement of the Ice Carving, Parade of Lights, Cardboard Sled Race, Vintage Snowmobile Show, Cookie Bake-Off, Chili Cook-off, and Snow Sculpture Contest winners. Winter Carnival Shirts available. Adult & Youth Sizes. The raffle will be set-up at different events throughout the weekend. Winners chosen at Sunday’s award ceremony. Many fantastic prizes donated by local businesses. All proceeds help to support Winter Carnival.